The MYBA Charter Agreement is widely used in the luxury yacht market. The Club has recently assisted with several cases involving charterers committing multiple breaches of clause 13. This is the clause that governs the way in which the charterer and their guests shall use the yacht during the charter period. These cases have illustrated that, in practice, careful consideration needs to be given to an owner’s options when dealing with poorly behaved charterers under the MYBA Charter Agreement. Clause 13 of the MYBA Charter Agreement (“Agreement”) sets out the charterer’s obligations with respect to the use of the yacht. Among other things, the charterer must comply with the laws and regulations of any country into whose water the yacht enters. They must also ensure that their behaviour, and the behaviour of their guests, does not cause a nuisance to any person or bring the yacht into disrepute and they and their guests must afford the crew due respect at all times. Under clause 7 of the Agreement, if the Captain reasonably believes that the charterer or their guests have infringed any of the terms in clause 13, they are required to give ‘due and specific’ warning to the charterer. If the behaviour continues, the Captain may, by notice in writing given to the charterer, terminate the Agreement forthwith and the charterers will be obliged to settle all outstanding expenses and will not be entitled to any refund of the Charter Fee. There are certain actions of a charterer that give rise to an owners’ right to terminate forthwith, without giving due and specific warning to the charterers. The first such action is if the charterer or any of their guests commit an offence contrary to the laws and regulations of any country. The offence must result in a crew member being detained, fined or imprisoned, or to the yacht being detained, arrested, seized or fined. If this occurs, not only can an owner terminate the Agreement forthwith by notice to the charterer, but the charterer is also required to indemnify the owner against all loss, damage and expense incurred by the owner as a result. The second such action is if the charterer or their guests breach the ‘zero tolerance policy’ by having in their possession any illegal drugs or weapons. The Club has recently assisted a number of Members in cases involving potential breaches of clause 13. These cases have illustrated that, in practice, it can be difficult for the owners to exercise their right to terminate without fear that they are committing a repudiatory breach of the Agreement. This can mean that owners may not always have an effective remedy in situations involving a difficult or poorly behaved charterer, particularly so in the case of short-term charters. To illustrate the above using a practical example, the Club might be called to assist a Member with a dispute involving one of their yachts which is on charter for a period of 10 days, under an unamended MYBA Agreement. Let’s consider that the full Charter Fee, Advance Provisioning Allowance (“APA”) and Delivery Fee were payable in one instalment, two weeks prior to commencement of the charter period. The funds are held by the Stakeholder. In accordance with clause 20, half of the Charter Fee would be paid to owners on commencement of the charter and the APA would be paid to the Captain upon embarkation of the charterer. Imagine the charterparty did not require the charterer to pay a security deposit. Once onboard, the charterers and their guests hold loud parties, which attracts threats of legal action from the local authorities. In addition, some of the charterer’s guests are arrested on suspicion of committing a criminal offence on board the yacht. The charterers also cause damage to the vessel, requiring repairs prior to the next charter, which has already been arranged. The vessel has not been formally seized by the authorities, but a police investigation is underway in relation to events on the vessel, so it is not clear if the vessel can lawfully leave the jurisdiction. In these circumstances, owners might hope to terminate the charter agreement forthwith, which would enable them to take the vessel for repair prior to the next fixture. However, in order to terminate forthwith, clause 13 requires the charterer or any of the guests to commit an offence and for the yacht to be detained, arrested, seized or fined as a result. As the guests have only been taken for questioning, it is not clear if the first requirement has been satisfied. As the vessel has not been formally detained, it is also unclear whether the second requirement has been met. As such, owners face a real risk of being held to be in repudiatory breach of the charter agreement if they seek to terminate forthwith. The other potential breaches of clause 13 on this occasion would include the charterers causing a nuisance and potentially bringing the yacht into disrepute. If the Captain was of the reasonable opinion that the charterers had breached clause 13, the owners could give ‘due and specific’ warning to the charterer in writing. They could draw the charterer’s attention to owner’s right to terminate under clause 7 for a breach of clause 13 if the behaviour continued. However, it may be difficult to provide contemporaneous evidence to prove that the Captain’s opinion of the behaviour was reasonable. It is also not clear what constitutes ‘due and specific’ warning in this context and how long an owner must wait after giving such warning to exercise their right to terminate. This can often present a difficult situation for owners in the case of short term charterparty. In such cases, the requirement to give a warning and then wait to observe whether the conduct of the charterer changes can often mean that any right to terminate comes only near the end of the charter period. Importantly, it should be noted that clause 13 does not include any obligations with respect to treatment of the yacht and property on board. This means that that there is no right to terminate, either forthwith or with notice, in circumstances where the charterers or their guests damage the yacht. Clause 3 of the Agreement obliges the charterers to redeliver the yacht in ‘as good a condition as when delivery was taken’, except for fair wear and tear arising from ordinary use. Therefore, if the charterers have physically damaged the yacht, repairs must be carried out before the yacht is redelivered. If the yacht is not redelivered by the charterers in as good a condition as at delivery, the owners are entitled to recover the cost of repairs from the charterers or deduct such costs from any security deposit provided. If owners suffer other losses from delayed delivery due to repairs necessitated by the charterers, they may claim these as damages for breach of clause 3. However, there is no express provision for such a claim and at present there is no clear case law on this point. In the example given above, owners would be faced with a difficult decision of whether to terminate the charterparty forthwith, or with notice, and risk committing a repudiatory breach, or to continue with the charterparty until its expiration or until the vessel was detained or seized. One answer would be for owners to purport to terminate for the charterer’s repudiatory breach of the charterparty, as well as terminating pursuant to clause 7 for breaches of clause 13. In such a case, Members would also be prejudiced by not having taken a security deposit. As a result, they would be left to try and deduct the cost of repairs to the vessel from the unused APA. This would generally require the charterer’s approval, which would not have been the case if they had taken a security deposit. Examples like these also question the extent to which the Agreement provides owners with an effective remedy in the case of a charterer behaving in an unacceptable way. As noted above, there is no authoritative case law on this point, and disputes in this area are likely to turn on the strength of the contemporaneous evidence obtained. This means that it is difficult for owners to determine with certainty whether there has been a provable breach of clause 13. 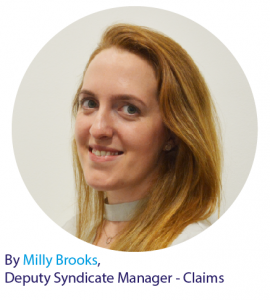 If owners terminate the Agreement and are unable to prove such a breach, they will be exposed to a claim for damages arising from repudiatory breach. For the above reasons, we always strongly recommend that owners seek legal advice prior to any termination of any charterparty. Where the charterparty is subject to English law, Members of the Club can also use their two hours of free legal advice, available under the CTRL Benefit Clause, to deal with any pre or post-contractual queries they have in respect of their charterparties.